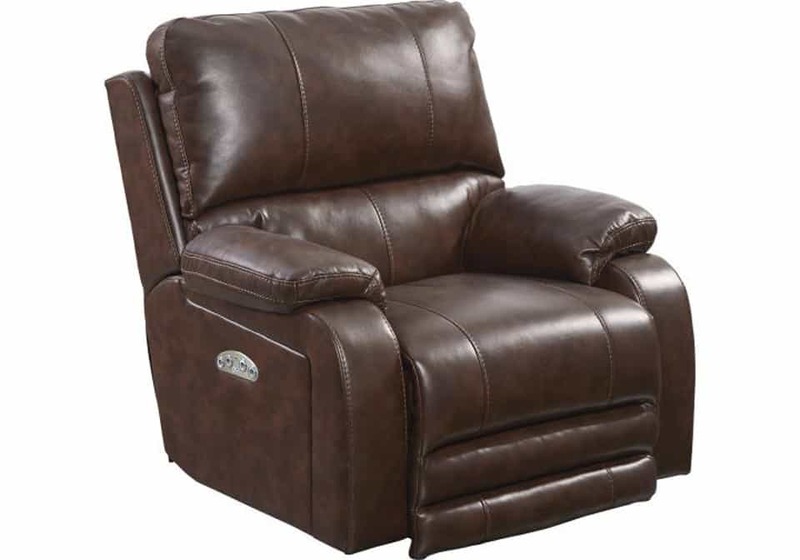 The Catnapper Thornton lay-flat power recliner features a power headrest for optimal comfort. You can lay totally flat and easily lift your head and shoulders for TV viewing. A USB charging port for all of your electronics is located on the power control panel. The Comfort Coil seating with Comfor-Gel adds extra support. Covered in an easy-to-clean padded polyurethane leather-look fabric with stylish contrast luggage stitching.